The mills of Minneapolis had a humble beginning, but they soon emerged as a world-renowned flour powerhouse. On their path to fame, the mills struggled to tame St. Anthony Falls and to mill and market the coarser varieties of spring wheat that grew in Minnesota. The mills and St. Anthony Falls formed a close-knit connection; the mills would not have without the falls, and the falls would not have been reinforced without the mills. Because the state’s harsh winter climate eliminated soft winter wheat it as an option for Minnesota wheat farmers, they grew spring wheat which they could plant in the spring and harvest in the fall. Yet hard spring wheat created challenges for the mills. Because it had a brittle husk, the wheat produced a darker and coarser flour than the more popular winter wheat. It was also difficult to mix evenly, resulting in flour that soured more quickly than the flour produced from softer winter wheat varieties. To solve these problems Minneapolis millers applied and adapted two innovations. The first, called a “middlings purifier,” blasted air through the flour, removing the undesirable bran and husks from the valuable flour, making the final product less coarse and lighter-colored. The second, a process called “gradual-reduction,” replaced the traditional millstones made of stone with roller mills made of porcelain or iron. These new rollers successfully mixed the gluten and the starch, which gave the flour a longer shelf life. With the unique challenges of milling hard spring wheat solved, sales skyrocketed - along with the reputation of Minneapolis millers. In 1870, there were thirteen flour mills by St. Anthony Falls, versus a total of five hundred other mills throughout the state. 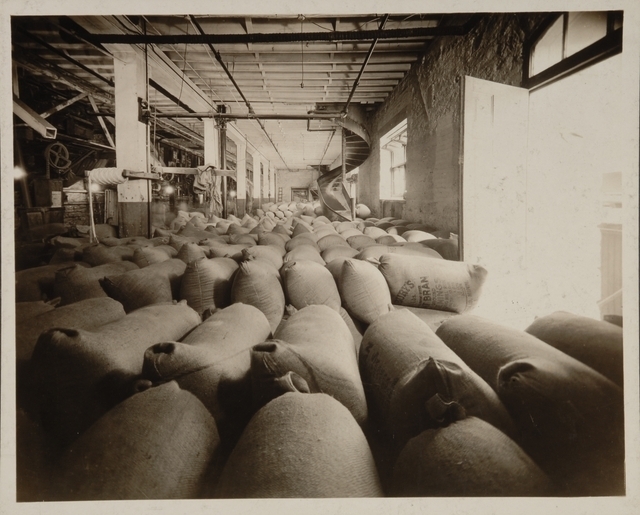 That year, the Minneapolis mills produced 200,000 barrels of flour. 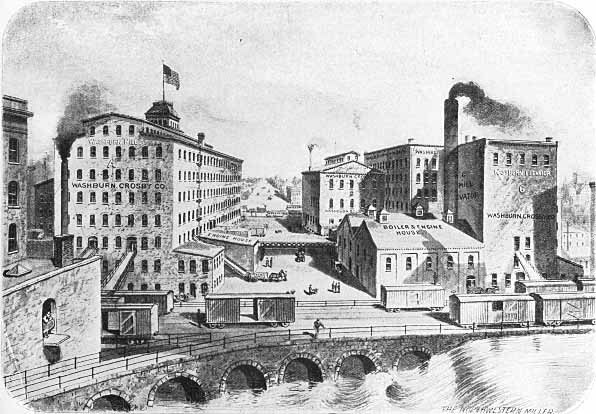 As wheat production shifted from southeastern Minnesota to the northwestern part of the state, the Minneapolis mills became more central to the wheat economy. 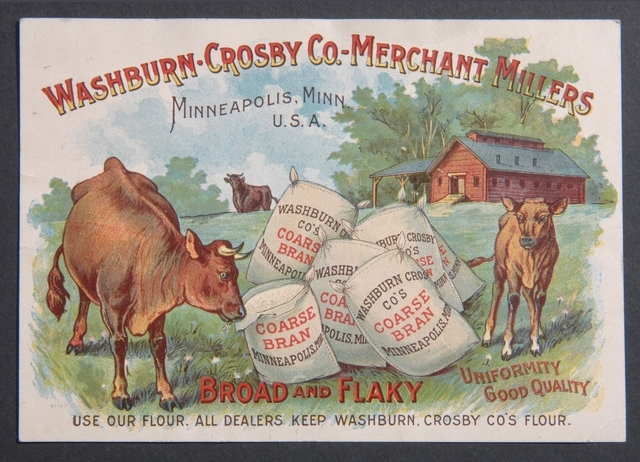 With its direct connection to the Mississippi River and its proximity to the Great Lakes, Minneapolis became a hub for flour. 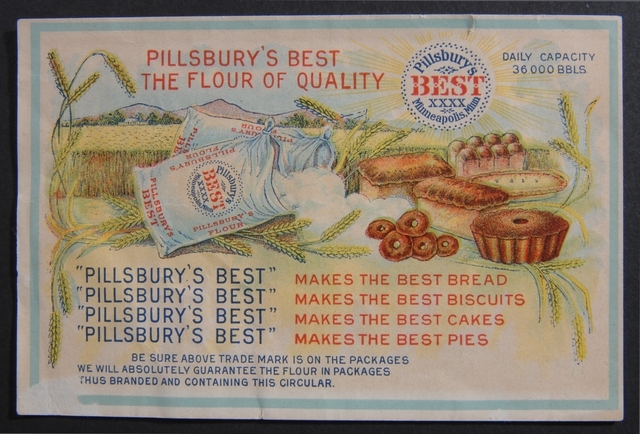 By 1884, Minneapolis was the world’s leading flour miller. In 1890, the Minneapolis mills produced a record seven million barrels of wheat. Even though less than four percent of the country’s mills were in Minnesota, these mills produced nearly a fourth of the nation’s flour. It was the golden age of flour milling in Minneapolis, fueled by the falls and by innovations in the mills. 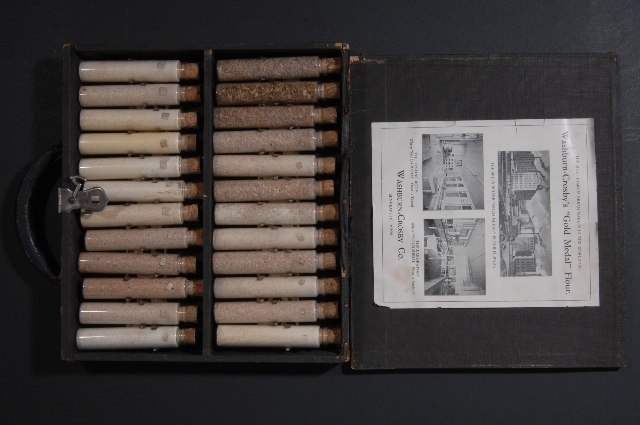 Takuya Amagai, Sahree Kasper, and the Minnesota Environments Team, “Mills of Minneapolis,” Minnesota Environments, accessed April 26, 2019, http://mnenvironments.carleton.edu/items/show/18. On the technology for milling wheat varieties, see Shannon Pennefeather, Mill City: A Visual History of the Minneapolis Mill District (St. Paul, MN: Minnesota Historical Society Press, 2003), "Flour Milling at the Falls."